Our products and services reach 6.6 billion TV viewers worldwide and we operate in 26 different timezones and 36 languages. 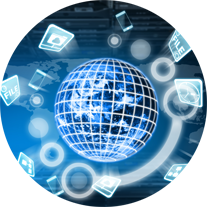 Global Listings is THE international expert when it comes to delivering EPG data. Whether it’s linear or non-linear, digital, terrestrial, IPTV, OTT… we work with over 100 different platforms worldwide on a daily basis. 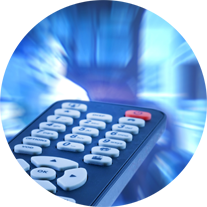 Our services include the facility for 24-7 EPG updates as well as fully augmented EPGs, sideloading, series linking etc. In addition we store and deliver images on a per-series, per-season and per-episode basis, enabling us to provide maximum visual exposure for your channel’s brands. Global Listings supplies a 360-degree service for broadcasters’ programming content. Our custom-built, state-of-the-art database enables us to store hundreds of metadata values against every single episodic record. This includes detailed data from cast info to production year, and from VOD licence data to Twitter hashtags. 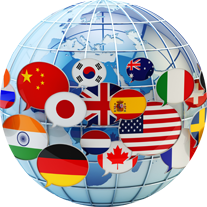 And of course this can all be stored in multiple languages in line with our Global Translations service. We translate from any language in the world, into any language in the world. Our translation services span content from TV programme descriptions to filming scripts, and from websites to PR & marketing materials. Our professional linguists (17,000+ individuals) are based locally in their native countries, enabling them to keep abreast of the very latest and most subtle changes in the evolution of their language. Our unique Global Translations service results in client savings of up to 80% within six months. Our bespoke highlights documents serve as a shop window for a TV channel's programming schedules. They boost a TV channel’s profile in the marketplace through the use of eye-catching images and outstanding editorial. Our dedicated teams have a real passion for TV – delivering exceptional, accurate and bespoke content to tailored specifications. Our highlights provide journalists, features and listings editors with exactly what they need to feature your TV content - in print and online. Global Listings has a team of fully qualified editors and journalists. Whether you need a sharp, succinct EPG description, a 1,000-word article or a 3-word marketing tagline, we have the expertise. We can generate text to any given brief, no matter how tight and specific. We produce ready-to-publish, ready-to-go-live content that’s bang on brand and really grabs the reader’s / viewer's attention. It has been fantastic working with Global Listings. They have been helpful and responsive – they have provided all the information requested. As we were new to the market, we had lots of questions. They were able to smooth things out and help us where we needed it. The execution of our business relationship has been seamless.